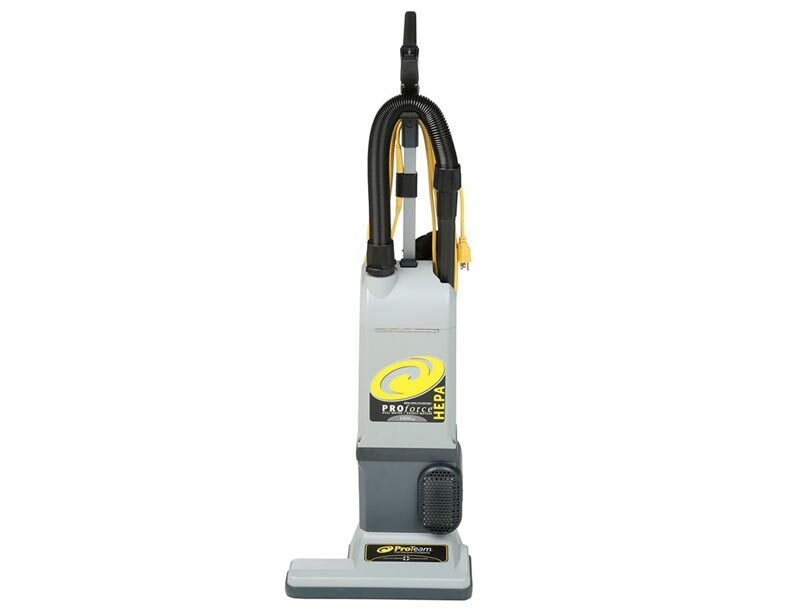 This vacuum is the same style as the Electrolux Prolux 1500 and the Electrolux commercial vacuum. This vacuum cleaner also has the same on board tools just like the Electrolux 4000 and 6000 upright. Do you have all types of flooring in your home? This vacuum is perfect for that! Just adjust the brushroll settings right at your fingertips and the ProCare 15XP will treat your tiles with delicate care and precision while it agitates and powers through your carpets! This is a two motor vacuum cleaner, one motor is for suction, and the other drives the agitator brush. This will ensure that you get a deep down cleaning of the bottom of your carpet. ProTeam vacuum Models are offered with an internal HEPA media filter and organically treated Intercept Micro Filter that capture up to 99.79% of dust mites, pollen, bacteria and chemical residue measuring 1 micron and larger. What makes the ProCare 15XP different than other upright vacuums is that it comes with tools on board! This includes the dusting brush, upholstery tool, and crevice tool. These three tools will help you clean all around your home, giving you an all-around clean that other machines can't do. The hose also extends, providing you a cleaning radius that is unmatched by its competitors. From floor to ceiling, this vacuum will be able to clean your entire home. 14.5 inch wide brush roll. 3 way power switch on handle. Answer:You'd have to remove any and all screws and remove casing to open up the vacuum. Answer:Yes, it is the same style vacuum and takes the same bags. They are not out of business they have moved their commercial line to the ProTeam vacuum, everything from the motor to the belt is the same. If you are interested call 866-972-8227 and ask for Raymond. Answer:This has the tools on board and can be used on both floors and carpets, this is a more practical for a home rather than a business and is better than a commercial vac. 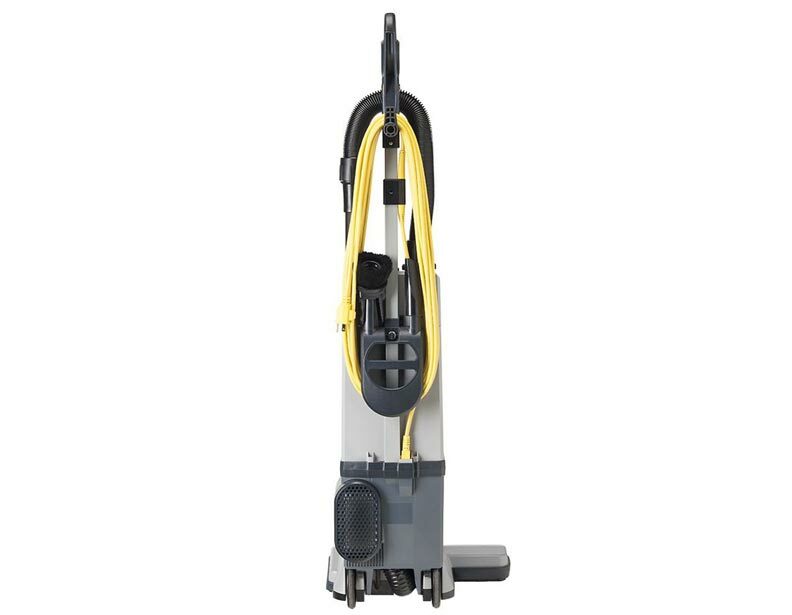 Answer:This is a bagged commercial grade vacuum that has more power and more durable than a bagless Electrolux. If you are trying to decide between the two, this one is more bang for your back and guaranteed to last. Answer:35 feet, are you interested in purchasing this product?